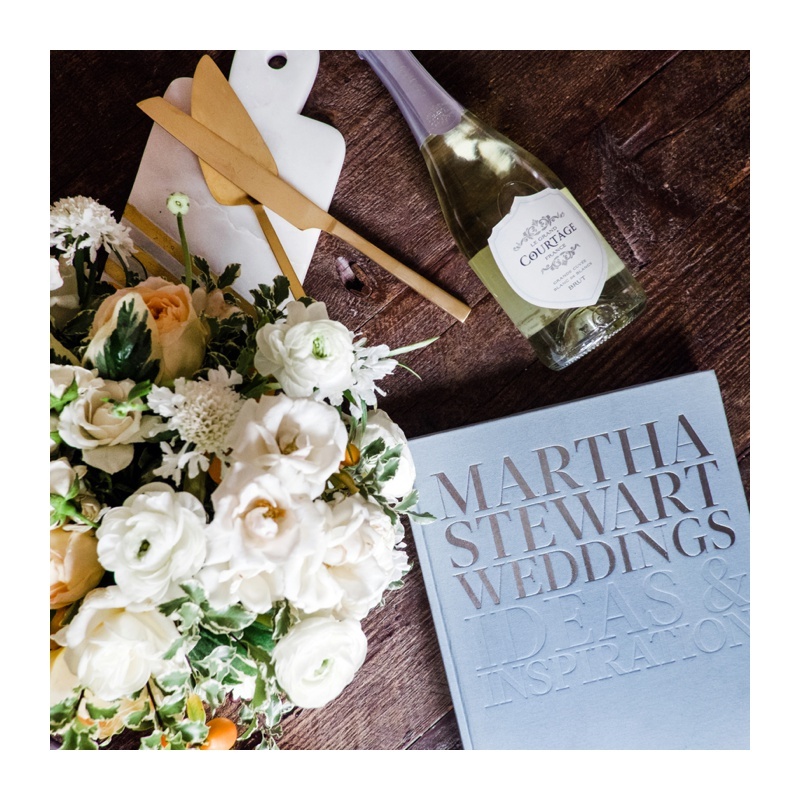 Kristine King is thrilled to have been selected by the team at Martha Stewart Weddings to provide ongoing wedding and event planning advice to the readers of Martha Stewart Weddings!! We are delighted to share our expertise so please follow our blog for additional published articles to come! Pinterest giveth—and it taketh away. For every super cute idea it inspires (see: mismatched bridesmaids’ dresses), there are a dozen or so other touches the site makes you believe you absolutely must have. (Wait, you didn't make your own personalized mason jars for the signature cocktail). But keeping up with the Instagram-perfect Joneses can be costly, time-consuming and, when you're plugging in your glue gun to tackle your eighth DIY project in one week, more than a little stressful. So we asked the pros—the ones who plan dozens of weddings each year—to break down which wedding features are worth the extra effort and cost, and which ones you can feel good about skipping. Renting a photo station "has become a popular way to make your wedding memorable for guests, but it's definitely an added expense," notes Kristine King, president and lead event director at Kristine King Events. A DIY photo booth is a more affordable alternative. "Make a backdrop and buy some fun props, toys or costumes," she says. "There are instant film cameras that you can purchase for guests to use or you can buy a printer that can connect to your smartphone and print photos right at your reception." "Having a team of experts to produce your day is priceless," swear Francie Dorman and Britt Cole, of New England wedding planning and design firm 42 North. 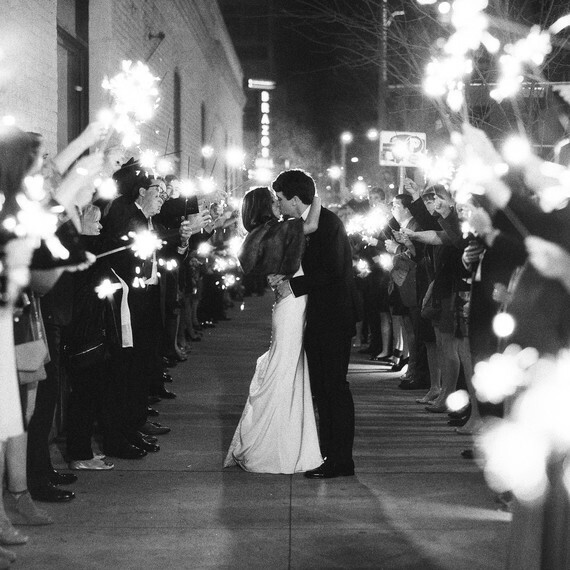 They say all couples should plan to hire a pro planner, photographer, caterer, and venue. "Not only for peace of mind, but for maintaining an exceptional guest experience." While Dorman and Cole note late night grub served from an authentic food truck "adds a novelty factor." it can cost up to $5,000. As an alternative, they recommend getting passed treats such as mini root beer floats, grilled cheeses or ice cream sandwiches from your caterer, "or, a stationary display where guests can roast their own s'mores can be an equally entertaining and creative alternative." One of the most frequent regrets King hears from clients: "I wish I had video of our wedding." If it's just not in the budget, she advises, ask a friend or family member videotape some of the bigger moments, such as the ceremony, first dance, speeches, and cake cutting. Since the guest book is often overlooked, King says it's not worth your time trying to find (or make!) a unique book for loved ones to sign. If you want to have something guests can leave a message on, try enlarging an engagement photo and adding a mat. "This makes for a great keepsake to hang on your bedroom wall!" she says. Take your time on this task, says King. A wedding website allows guests to take a peek at the bride and groom's wedding weekend schedule whenever they please and can provide information on everything from local attractions to the couple's wedding registry. Even better, she notes, "They're often free!" Sadly, those pamphlets you obsess over (and maybe tie with hundreds of ribbons) are generally tossed post-ceremony. "If you want to skip them and save the money, your guests won't care," says King. "I suggest brides create a few wooden signs or chalkboards listed with the schedule and any other necessary details for guests to peek at before finding their seats." It's worth the splurge, says King, who recommends scheduling a least one trial before the big day: "Professional hair stylists and makeup artists know how to create long-wear looks that shine in photographs. And it lets you relax and save your energy for the celebration—you can't put a dollar amount on less stress!" Sourcing from local farms and purveyors can be a great way to maintain freshness of food, florals, and support the community, note Dorman and Cole. Instead of doling out cash to import peonies in the middle of winter, the suggest working with a local grower "who can help you discover a bloom that may satisfy a similar aesthetic that is in season and readily available." This is one area where it's important to hire real pros. "Nothing puts a damper on a perfectly produced celebration like an inexperienced DJ or band who can't read the crowd instinctually," say Dorman and Cole. "It's important they are professional and can deliver a memorable experience for guests from the first dance through to late-night dancing." Bottle openers and coasters will most likely get left behind, say Dorman and Cole, who suggest combining your giveaway with a late-night treat instead: "Offer guests something delicious for their journey home, like pre-packaged ice cream sandwiches or crustless PB+J sandwiches with chocolate milk in delightful, vintage packaging."